While not everyone has encountered this #Apple iPhone 7 (#iPhone7) error yet, some device owners have recent claims about their new iPhone that is stuck on ‘Waiting’ status while performing software installation. In other cases, the iPhone appears to be stuck on the same ‘waiting’ status after restoring or updating to the latest iOS firmware version released by Apple. In response to our readers who have relayed to us the same concern on the same device and have requested for further support in the troubleshooting process, we therefore offer this content to elaborate what the ‘waiting’ status error denotes, why it occurs, and what needs to be done in order to get rid of it. What could have possibly caused your iPhone 7 to get stuck at waiting status? There are various instances where your device can be stuck at waiting status. Sometimes, this error can occur while attempting to install some apps or update software on your iPhone. In some cases, this error may transpire during the iPhone restore or after performing a major software or iOS update on your device. One of the most common reasons as to why your iPhone is stuck in the waiting status is an on-going problem with the network connection. In this case, it tells users to wait as the device attempts complete the process. Remember that processes like apps download, installation, restore, and software update requires an active network connection for them to be completed. This means that if network problems occur or the connection is interrupted, your device won’t be able to complete any of these processes. In the case when the problem is triggered by a network problem, the only way for you to get out of the waiting status is to determine the cause or get the network connection back up and running first. Another factor that can trigger the same issue to arise on your iPhone is insufficient storage or memory problems. Although it may sound unusual for a new device to run out of storage space especially at this very early stage, there are some factors that can make this happen like buggy apps. Or simply because you already have installed bulky applications, images, videos, and other multimedia contents and these are already taking much of your iPhone storage. Server downtime is also another factor to consider when you encounter similar problem on your iPhone. There are many cases where the iPhone is stuck at waiting status because the server is currently down or the App Store is slow. This denotes that your device couldn’t establish a good connection with the Apple server and attempts to reach the server so as to complete a certain process but to no avail. The Apple server may temporarily become unavailable especially with high volume of requests or large number of users are updating to the latest iOS operating system, or downloading and installing apps through the App Store. In this case, all you have to do is to wait until the server queues lessen. By that time, the server should be all set to accept and process more requests. Now that we’ve already defined the common factors that can possibly get your iPhone stuck at waiting status during software download, update, or restore, let us proceed with the potential solutions. Please note thought that these methods will only work if the error lies within the software and no hardware damage is present. So let’s get started. Internet is a requisite for software download, update, or installation on your device. 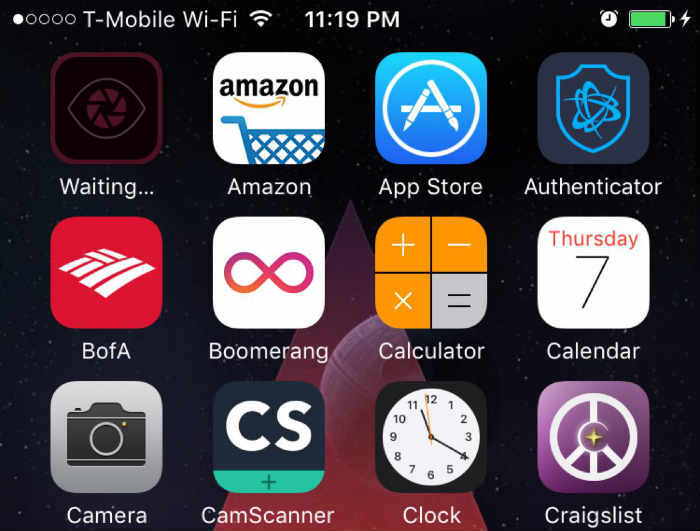 Your iPhone can be stuck in the waiting status if your network connection is intermittent or unstable. For instance, when attempting to update or install apps on your iPhone. Your device would need to establish a secure connection with the App Store server in order to complete the update or installation. So if the connection is always cutting off or not stable, then it would take too long to finish. Downloading, installing or updating several apps at one time can also result to this same problem to occur on an iOS device. Once you’ve fixed the network, delete the app that is currently installing and then re-install it from the App Store. To delete an app, just hold it until it jiggles and then tap Delete. Doing so will clear the download and make the next download successful. In the case where your iPhone is stuck at waiting while trying to download or update apps via 3G/LTE network, configuring the network settings to use cellular data instead can also be a potential solution. All you have to do is enable the option for your iPhone to Use Cellular Data instead of Wi-Fi. To do so, head over to Settings-> iTunes & App Store-> scroll down and select the option to Use Cellular Data for apps update or installation. On the right side of the iTunes screen, click the Apps tab to view a list of apps along with the options to Install, Remove, and Update. Click on the Install button to install the app or the Update button to install update on selected app. On the bottom-right of the iTunes screen, click the Sync button. Your device should then sync with iTunes. Just wait for the process to finish and that should do it. Considering that memory issue is among the factors that may hinder the download and installation of new apps or software updates on your device, it is just reasonable move to check and ensure that your iPhone still has sufficient storage space for additional files. Major software updates usually come in large file size. This means that more storage space is required for them to be installed successfully on your device. Should your iPhone is stuck at waiting while attempting to update to the latest iOS version, go ahead and manage your iPhone storage. While you may think that this is not the case considering that this is a new device, it is still worth a try to check and ensure everything is good with your iPhone’s storage especially if you are fond of adding new games into your phone. To check your iPhone’s memory status, head over to your iPhone 7 Settings-> General-> Usage, and make sure you’ve got enough free space for additional contents. If necessary, you can delete non-essential apps by going to Settings-> General-> Usage-> Storage (Manage Storage), search for the app, and then tap Delete App to remove it. In the case where your iPhone 7 is stuck on waiting status even with stable internet connection and sufficient memory space, a software glitch might be to blame. The best possible solution you can try on for this instance is a restart. Restarting can help eliminate minor software inconsistencies and therefore rectifies any associated issues transpiring on the device. To restart your iPhone 7, press and hold the Power button, slide the slider to Power off, and after a few seconds, press and hold the Power button until the Apple logo appears. But if your iPhone screen is unresponsive, a force restart would be your option. To force restart your iPhone 7, press and hold the Power and Volume Down buttons for at least 10 seconds until the Apple logo appears. Your iPhone should now reboot and hopefully that clears out the problem. While your iPhone is connected, force it to restart by pressing and holding the Power and Volume Down keys at the same time until you see the Apple logo. When you are prompted with the option to Restore or Update, select Update. After that, iTunes will attempt to re-install iOS without erasing your data. Just wait for iTunes to finish the software download for your iPhone. Once the Update is complete, you may then proceed with setting up your device. If you still cannot update or restore with recovery mode, and that your iPhone 7 is still stuck on ‘waiting’ status, contact Apple Support to get more help and recommendations. I JUST bought this iphone7 on December 2nd, 2017. My Google stopped allowing the feed on Sunday. I uninstalled it, then went to the App store and tried to download it again. It stuck on ‘loading’ for 3 days. I have 4 apps with updates to download and they won’t even move off of ‘waiting’. I have boatloads of memory space, I turned on “use data for downloads” and even that didn’t help. What is being done about this?